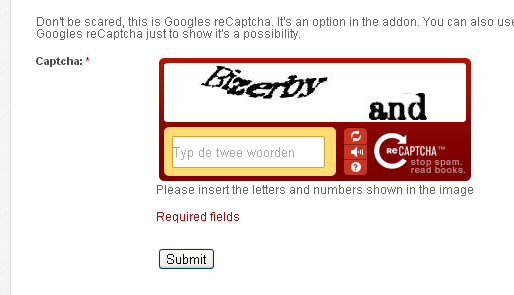 Please check out Formidable. 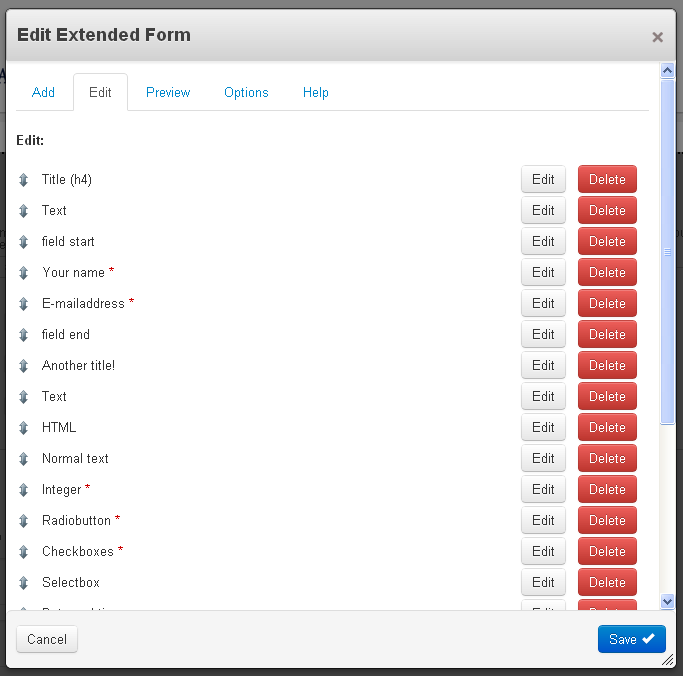 It's created by the same developer as Extended Form, but it's easier, cleaner, better and more configurable. 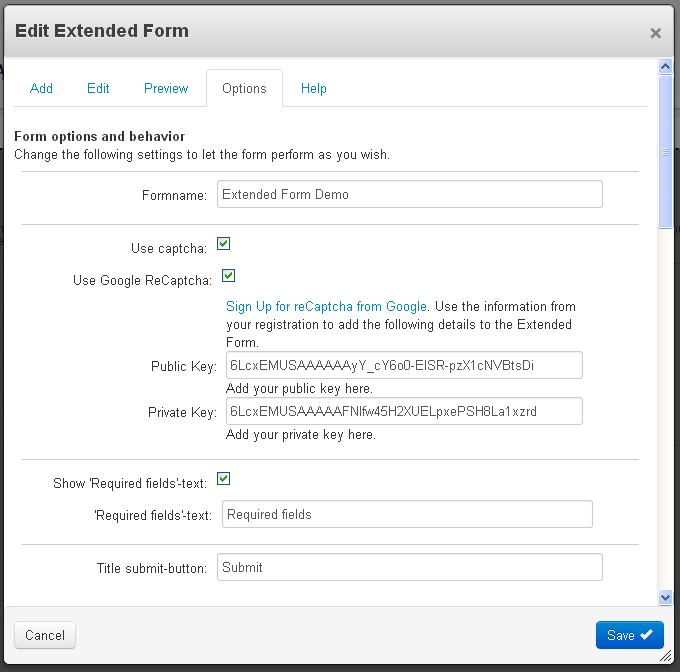 The Extended Form addon is specially made for the Concrete5 users who need just that littlebit more from there forms. This addon allows you to add titles, text, horizontal rules and much, much more! 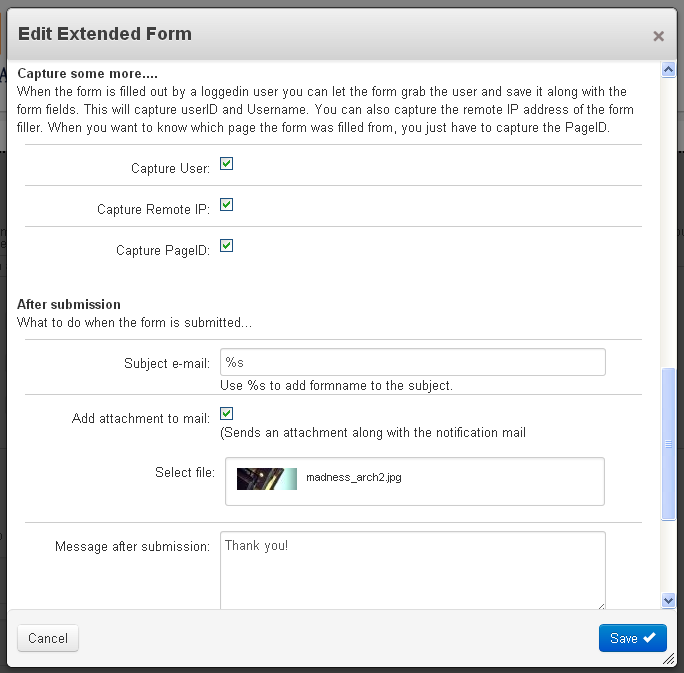 Please read documentation for more inforamtion about using Extended Form. NOTICE: Please backup when updating to version 2.0! Labels for radiobuttons and checkboxes. No more tables, all div's! Uploaded files are shown as download links in the mail, dashboard and exports. 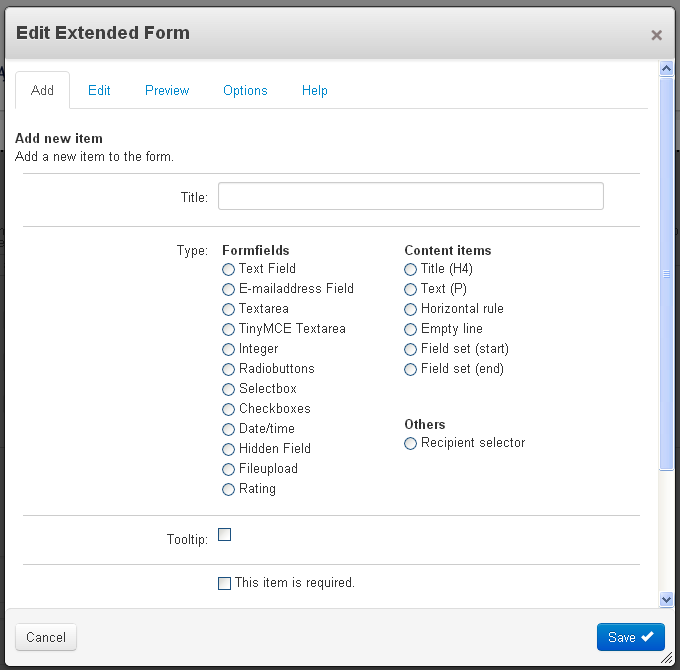 The formfiller can select the recipient through selection. 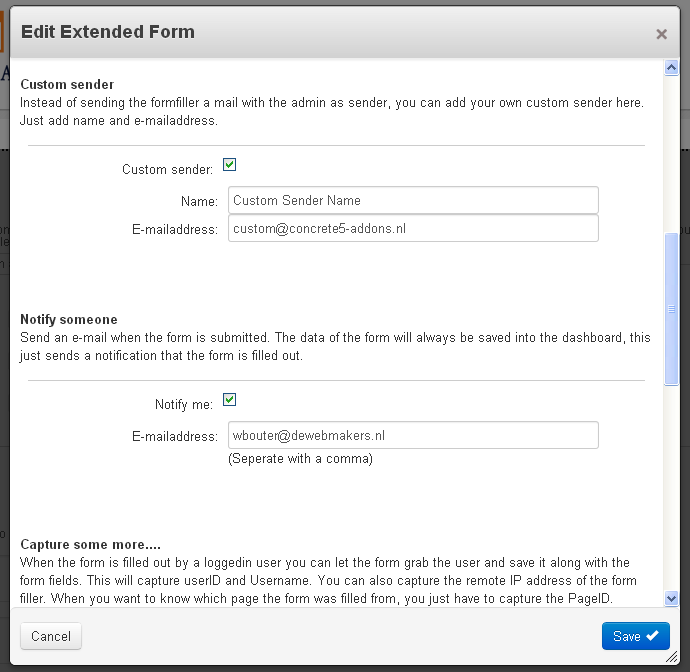 You can send a copy of the notification mail to an emailaddress formfield in the form. Selectionboxes, checkboxes and radiobuttons can be expanded with "other" option, which opens a textfield. You can add an attachment to the the notification mails. There is also a possibility to capture the loggedin user. 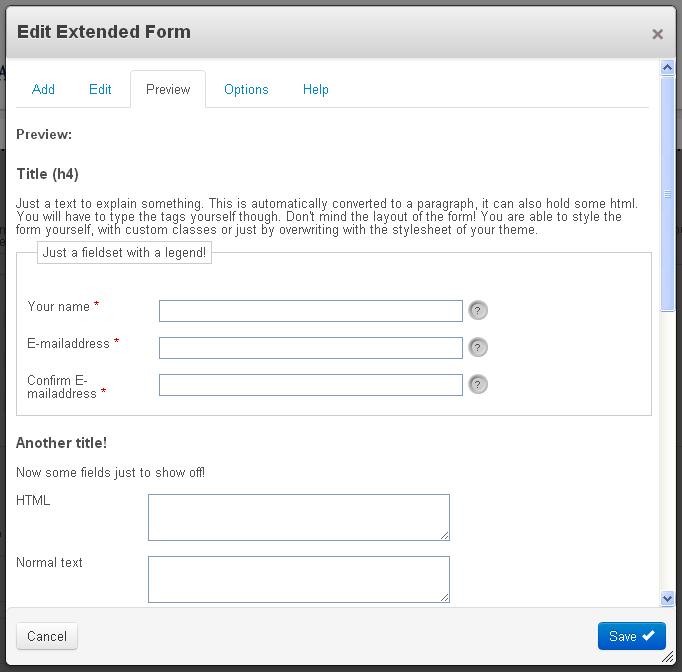 To make this addon complete, you can load a tooltip (jQuery) with each formfield. Change the sender to a custom one, filled in by you! This addon creates a single page in the Reports tab. There you can export and read the submissions. Just like the form block.